Discussions of tolerance and diversity on campus typically evoke broad concepts like freedom of speech and academic freedom – the ability to open oneself up to criticism and learn from peers who hold different opinions. But sometimes, professors on campus can make it difficult to do that. The importance of giving room for disagreement has been hammered home by professors in the wake of controversies across the country, where students and administrators have prevented controversial speakers from coming to their campuses. According to some professors and higher education experts and even former President Barack Obama, college campuses shouldn’t “coddle” students or shield them from criticism. Those same critics also argue that college classrooms should avoid becoming echo chambers, where like-minded students only share their ideas among themselves. But critics rarely discuss the roles of professors and their ability to transform a classroom into a vibrant forum for free discussion – or to suppress that discussion, whether voluntarily or involuntarily. In my two and a half years at GW, most professors I’ve encountered have made an attempt to foment some discussion in the lecture hall. But this rarely works. In large lecture classes – often consisting of a little more than 100 students – conversations and debates are usually stifled. Professors, especially those in introductory humanities classes with subject matter more open to interpretation, often feel compelled to rush through the material on a syllabus and cover a broad spectrum of topics. This means that they end up teaching complicated concepts in a single day and leave very little room for students’ questions, comments and most importantly, disagreements. Professors should give students more freedom to discuss and dissent by structuring their classes to focus on only the most important concepts in depth. The University should accommodate these changes by encouraging professors to relax their requirements on the amount of material covered. This change in class time allocation will allow the quality of the class to advance much more than a syllabus that is packed with the most material possible. In my two and a half years at GW, most professors I’ve encountered have made an attempt to foment some discussion in the lecture hall, and not just in discussion sections. But this rarely works. These questions are typically treated as digressions from the material, which the professor generally views as much more pressing than addressing students’ concerns. In other cases, professors wish that they could spend more time on students’ disagreements but maintain that they need to get through everything on the syllabus. In U.S. Diplomatic History, a class I’m currently taking, the professor often doesn’t leave time to field more than a few questions from students. Some very important and relevant issues that students often raise – such as the role of institutional racism in U.S. foreign policy and political history – are rarely given time in the classroom because there is such a wide breadth of material to cover in the class. And this means students have less time to digest main ideas in the course, and to the depth necessary to write about these subjects on exams. Discussion sections, although important, are insufficient when it comes to promoting dialogue among all students in the class. When a student hears the professor make a claim or an argument that they disagree with, their only option is to raise the issue in their discussion sections, where it will only reach about 10 percent of the class. And the teaching assistant – beholden to the regulations of the class outlined by the professor in the syllabus – will likely not pass these concerns along to the professor to be mentioned in the lecture class. This means that, amid ongoing debates about freedom of speech and openness to criticism on today’s college campuses, the stifling of dialogue may start as early a freshman’s first class. This is especially true for intro courses that deal with concepts that are more open to interpretation and debate, such as humanities and social science courses like history, anthropology and international affairs. Including fewer topics in the course material wouldn’t sacrifice educational quality. In fact, by hearing the objections and questions raised by other voices in the class, students would bring their own knowledge to the lecture hall and learn from each other. Professors in large lecture classes should encourage this, formulating their syllabi to spend more time on each major topic to better incorporate time for discussion. In order to expose the greatest number of students to criticism in an academic format, the best forum for discussion is the lectures, where ideas can be challenged most. Discussion sections could be spent revising essays and assignments and asking TAs questions to prepare for exams and final projects. In this way, changing the lecture component of the class has auxiliary benefits for the class in its entirety. In today’s political environment, students receive criticism for not being open to opposing ideas. But it isn’t the students that should be taking all the blame. This would not only improve classes and set GW apart from other universities that are often criticized for not exposing students to opposing viewpoints, but it would arm students with a real-world skill that they generally don’t learn in a classroom setting. This is seen at Pepperdine University, where prominent professors in the humanities incorporate elements of the Socratic method into their classrooms to get students to raise issues and engage by asking questions. Students would also become much better at voicing criticism in a civil way and raising issues with an audience, which would go a long way in preparing them for careers in international affairs or political science. In today’s political environment, students receive criticism for not being open to opposing ideas. But it isn’t the students that should be taking all the blame. By fostering environments in large lecture classes that better facilitate discussion, students can learn to analyze what professors are teaching them and how to better raise objections based on their own values. 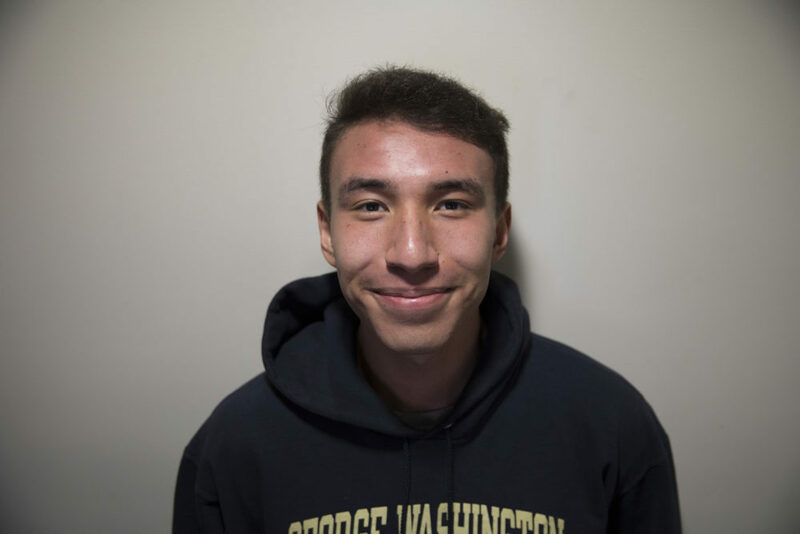 Nate Muramatsu, a junior majoring in international affairs, is a Hatchet columnist.